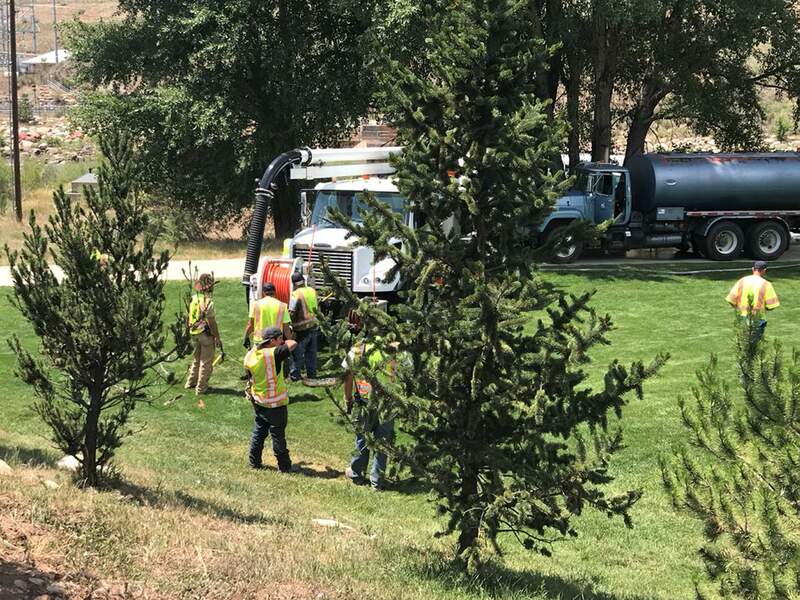 Around noon Friday, a cave-in of an underground manhole caused a sewer line to back up on the southbound lane of U.S. Highway 550. Repairs are expected to extend to the weekend. Because traffic has been redirected in two lanes, the city of Durango suggests commuters choose alternative routes and avoid the area. Overflowing sewage near Santa Rita Park closed U.S. Highway 550/160 southbound midday Friday. North and southbound traffic now is down to one lane in each direction. Traffic disruptions are expected to last until the weekend. A sewer line that broke Friday near Santa Rita Park is expected to cause traffic delays at least until this weekend. The city of Durango issued a news release Monday morning that said utilities crews will work this week to repair the sewer line, which requires “extensive underground excavation” to determine the extent of damages. Around noon Friday, a cave-in of an underground manhole caused a sewer line to back up on the southbound lane of U.S. Highway 550. 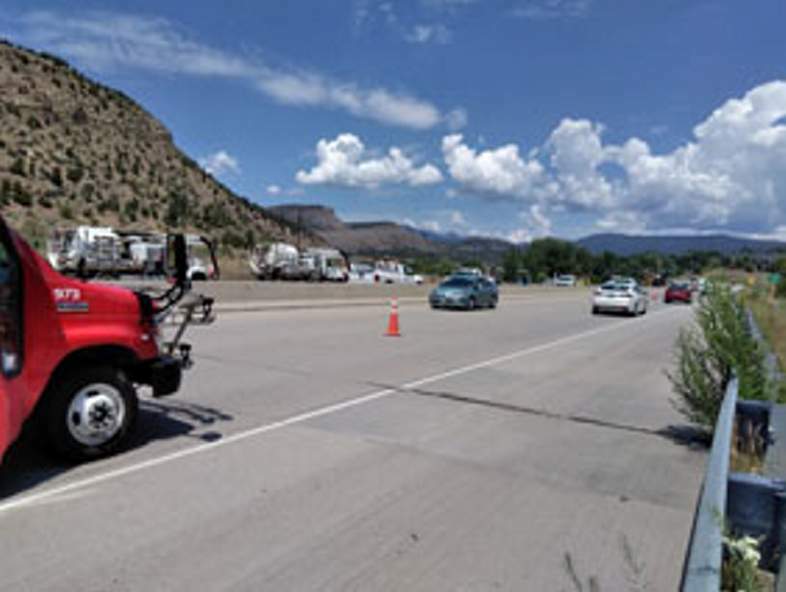 Raw sewage leaked onto the highway, across the Animas River Trail and into the Animas River. City officials estimate the amount of sewage that leaked into the river to be less than 300 gallons. The leak was stopped within two hours of discovery, the city said. San Juan Basin Public Health and the Colorado Department of Public Health and Environment monitor the Animas River regularly, and water quality data indicate the river is safe for normal recreational use, including floating, wading and fishing. Wash with soap and water after exposure to untreated river water or sediment.Closely supervise children to ensure they don’t ingest large amounts of river water or sediment.Properly treat water from any river or stream before using it for consumption.The city suspects “aging infrastructure and erosion” are the causes of the spill. Closure of the southbound lanes of Highway 550 between Santa Rita Drive and County Road 210.Southbound traffic will be routed onto a northbound lane.Northbound and southbound traffic will be separated by cones.The westbound lane on Santa Rita Drive is closed.The frontage road is closed at the intersection of County Road 210 and Highway 550.Lake Nighthorse, County Road 210 and businesses on the west side of Highway 550 can be accessed from the intersection of Sawyer Drive and Highway 550.Left turns are not allowed for southbound traffic between Santa Rita Drive and Sawyer Drive.Businesses on the east side of Highway 550 can be accessed by the intersection of Sawyer Drive and Highway 550.Santa Rita Park is open, but vehicle access is restricted to construction traffic only. There is no pedestrian crossing at Highway 550 from Santa Rita Drive. The Animas River Trail is open.The city has closed Santa Rita Park river access point to the Animas. Commercial river outfitters are advised to take out at Cundiff Park. Because of detours and traffic disruption, Durango Transit service to Walmart will be rescheduled to one run an hour. Call Durango Transit at 259-5438 with questions about service.